LAUGH, HAVE FUN & CELEBRATE a Magical Evening at the Arizona Biltmore Resort! The special art of magic and illusion is alive and well at Carnival of Illusion. 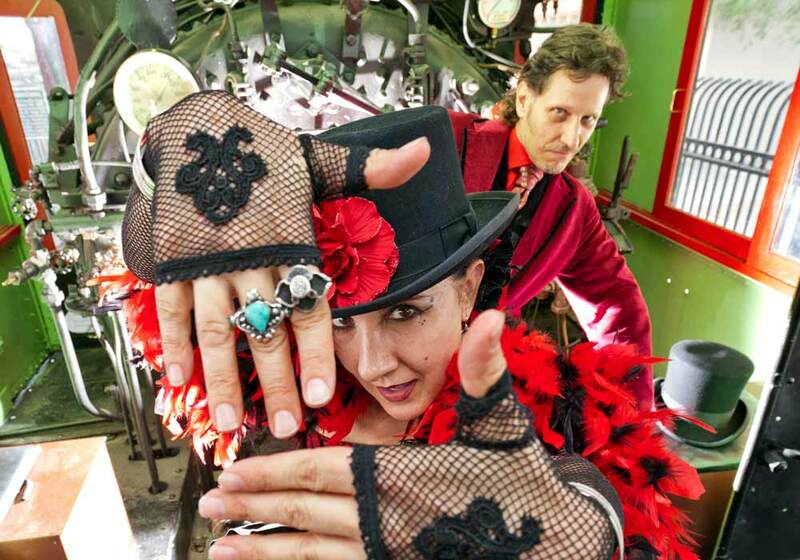 Roland Sarlot and Susan Eyed can be found mystifying audiences at the historical and delightful Arizona Biltmore Resort. It is a show that is sure to please whether you are on a date-night out or are bringing the whole family for a special occasion. You will arrive at this Frank Lloyd Wright inspired resort and can choose to take advantage of free valet parking or free self-parking with validation. Enjoy the grounds before the show, have a cocktail or even a bite to eat at one of two restaurants on the property. Then make your way to our ballroom which we've transformed into an old-world parlour, where the magic is up close and personal. It is a delightful evening of "Magic, Mystery and Oooh La La" at a world-class resort. Perfect for a special night out. Magic has been around for thousands of years, but the Arizona Biltmore Resort, although old, has only been around since 1929. The opening of the hotel was such a big deal that it was extended from one day to three to accommodate all the party-going socialites of the time. In 1930 the hotel become the property of chewing gum magnate William Wrigley Jr. and the family remained involved until as late as 1973. The 39 acre property has seen many upgrades, additions and changes over the years, but it still retains its iconic Frank Lloyd Wright influence, as he was the consulting architect on the project. The resort has been host to presidents, dignitaries and movie stars. 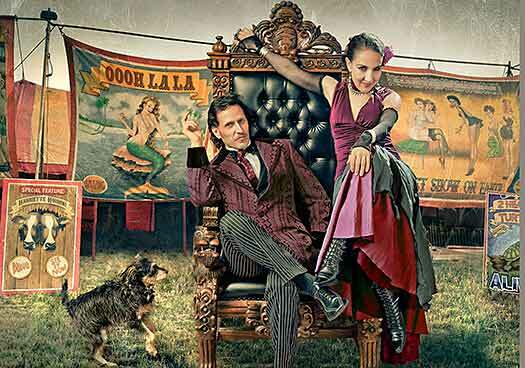 Carnival of Illusion is so happy to be able to bring their show to this world-renowned resort. We hope that you will come for the magic and mystery and you will leave feeling like a star. My teenage son is fascinated by magic, so he has studied to learn a few illusions himself, but Carnival of Illusions had him completely stumped with nearly all of their magic. He and I are still trying to figure out exactly what we saw, and anything that can get a parent talking with their teenager is a great thing. Oooh La La! What a great time the four of us had last night. The show is wonderful and non-invasive. I want to thank you for a night that meant so much. After having to move our ticket twice, we were finally able to attend. It was a great show and a great distraction! Thank you both and your entire team!